During tinker time we can do absolutely anything so I thought to do a fortune telling tour around the class. 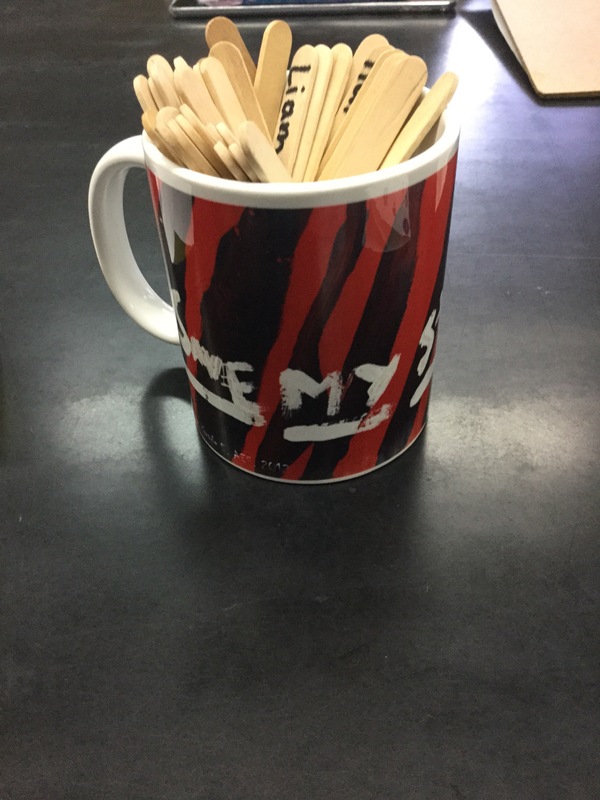 Basically what I did is I used the sticks of destiny( a cup full of lollipop sticks with all the peoples names in them)to tell their fortune. The questions answers had to be a name of somebody in the classes name. For example: Who do you think is the cleverest person on your class? Or Who is the coolest? When they ask the question we pull a name out of the cup and the answer is whoever got picked. What will be your fortune? Winter Break for Kai Lewis was mostly about the food he ate. He was excited to get away from the chicken and the ‘No beef’ rule in India. Kai went to Japan and Britain/Scotland over Winter break.Japan for Kai is a dreamland for food,it contains delicious foods like rice balls,ramen and sushi.Britain however might not compete with Japan but one of Kai’s favourite foods is Toad in a Hole(Yorkshire Pudding with sausages and potatoes). Overall the restaurants that he visited the one that he enjoyed the most was ‘Byron Burger’ located in High Ousegate, York YO1 8RZ, UK. He enjoyed this particular meal because(as you can see in the name) it served BEEF burgers which you can never get on a daily basis in India. Also he went to his previous school(The Minster School)to reunite with his old friends and have Billy’s(the chief chef at the school) legendary chicken pie. This meal reminded him of every time he had eaten that meal when he was a student there. Kai has enjoyed all the delicacies he has had over the three week break and at this very moment still having the hunger to eat beef. He has filled one whole large suitcase with sweets from Japan and pastries from Britain. Next Trip he will be travelling to Angor Wat to eat some traditional Cambodian Food. See you next time on ‘Kai’s World Delicacies’. 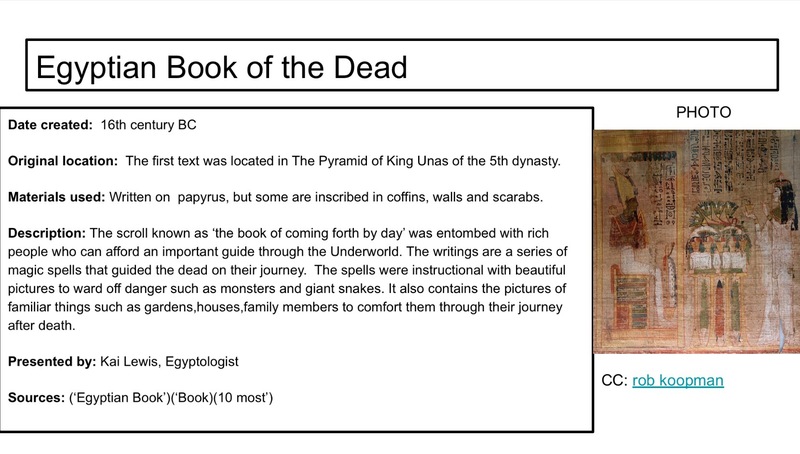 All about the Book of the Dead with Kai Lewis! I chose this piece because first I chose to do the artifact known as the Rosetta stone but I thought myself wouldn’t most people do that because it is pretty famous so I went to look in the web for something more intriguing then I found the Book of the Dead. Before I never heard of this object but it was really interesting to find out that they believed in magic. Two strengths I have around organisation are: Probably using my alarm in the morning because I never snooze and I wake up on time. Also,another strength is doing my homework as soon as I get home.Another Eason is that I have never forgotten to do my homework except if I do forget to do it I give up my lunch break to do it. Two areas of growth are:I would like to work on my skill of knowing what the schedule is for the next day so I don’t have to arrive at school without the things I need. Also reading the homework description carefully because it might say to watch a video AND take notes but you don’t take notes. One goals is:Packing up all the things I need for the next day on the night before. 1:I learned about normal Delhi life and the history of Delhi such as Gandhi . 2:I think my favourite project was the presentation on Siri because it was really fun to make and to present. 3:So far we have done 6 trips. The most fun one was probably dilli Haat because I really liked seeing the variety of things the shop owners sell. The metro ride was also pretty fun because I saw the Qutub minar for the first time.I also got to see India gate for the first time and I realised how big it was! -Exploratory helps the understanding of our country because sometimes you might visit foreign countries more than your own country that you live in. Exploratory also helps us go to places in our country during school. This is helpful because in your free time you might not have time to go anywhere at all!-The field trips have been pretty fun and it’s nice to visit other places in delhi because during the weekends normally my parents are busy so I’m always stuck in the house,. -Playing the kahoots was really fun because there was a lot of competition and we could test our knowledge on our host country India. 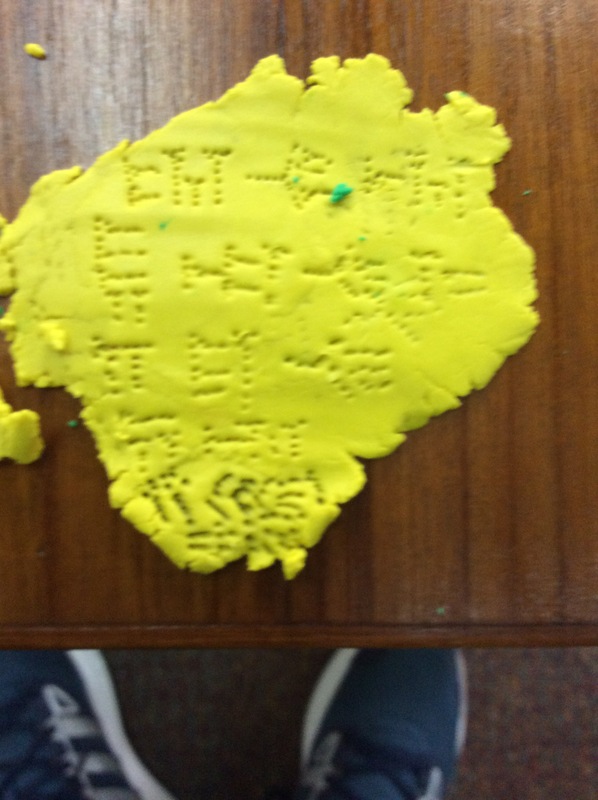 I really liked learning about quneiform because it was really interesting on learning about the process of how the words we write today came to life.